Isn’t it just teh adorable?? As you can see, it comes in three distinct manifestations. A wittle keybawd, a wittle set of dwum padz, and the wittle set of knobs and pots I gots. A-goochie goochie goo! I wuv oo my cute wittle nanoKontrol! 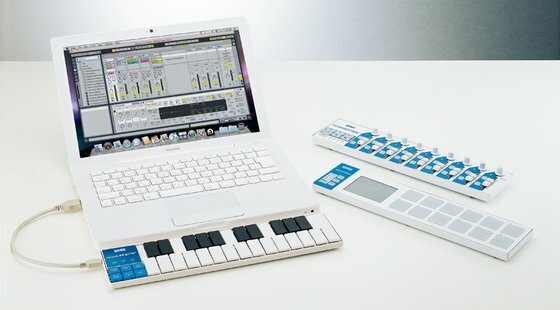 You’re a naughty little MIDI controller aren’t you? You’re naughty! What’s it like to use? How does it compare to similar M-audio equipment?